THE FIRST SCIENTOLOGY IDEAL ORGANIZATION (Org) in Switzerland’s dazzling history opened its doors to a grateful public on Saturday in an historic and dignitary-studded dedication ceremony in the picturesque Swiss city of Basel. BASEL’S NEW IDEAL ORG stands on the city’s Burgfelderstrasse mere blocks from the Swiss-French Border in the district of Great Basel-West. The 50,000-square-foot facility is quintessentially Swiss-Modern in style. Just minutes from the city center, it will provide Scientology services and a common meeting ground in the tri-country corner. THE GARDEN TERRACE, adjoining the café, serves as a seasonal meeting ground in the spirit of an Ideal Organization. It is a home for Scientologists and the greater community alike. In the Hubbard Guidance Center, Scientologists participate in auditing (spiritual counseling). Beyond this waiting area are rows of auditing rooms to meet the needs of Basel’s expanding congregation. In the Academy, Scientologists train to become auditors (spiritual counselors), capable of applying the technology of auditing to help others attain spiritual freedom. The Basel Academy comprises multiple course rooms, each devoted to a different aspect of training. And consistent with that uncompromising emphasis on quality, the first Scientology Ideal Organization (Org) in that European nation’s dazzling history opened its doors to a grateful public on Saturday in an historic and dignitary-studded dedication ceremony in the picturesque Swiss city of Basel. Basel’s new Ideal Org provides all visitors with an introduction to Dianetics and Scientology, beginning with the Public Information Center. Its displays, containing more than 500 films, present the beliefs and practices of the Scientology religion and the life and legacy of Founder L. Ron Hubbard. The Information Center also offers a detailed overview of the many Church-sponsored humanitarian programs. 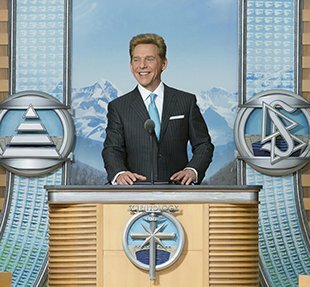 These include a worldwide human rights education initiative; a far-reaching drug education, prevention and rehabilitation program; a global network of literacy and learning centers; and the Scientology Volunteer Ministers program, now representing the world’s largest independent relief force. Basel’s Ideal Org also features a chapel that provides for Scientology congregational gatherings, including Sunday services, weddings and naming ceremonies as well as a host of communitywide events open to members of all denominations. The Church further includes multiple seminar rooms and classrooms, in addition to an entire floor dedicated to Scientology auditing (spiritual counseling).